1 February 2019 Unlocked content from the archive. At first it’s hard to know how to interpret Monica Tan’s intention to discover ‘the Australia lying beyond her hometown’ and to ‘learn about Aboriginal Australia’ as she travels on a solo 30,000-kilometre road trip around the country. The reader may ask if this is yet another attempt by a non-Indigenous Australian to commercialise Indigenous Australian culture for their own gain. (Tan, the former deputy culture editor of Guardian Australia, mentions that she intended to write a book about her trip from the outset.) It takes a little while to shake the scepticism, but as the memoir unfolds, the level of care, sensitivity and nuance with which Tan writes these stories makes it clear that she is sincere in wanting to build genuine friendships, understand the deeper meanings and codes of Australian Aboriginal traditions, and connect with Australia in a way that most inner-city hipsters her age don’t. In turn, the reader is treated to insights about Aboriginal culture and history from a host of interesting people she meets along the way and to poetic passages depicting the strange beauty of far-flung parts of Australia most of us will never otherwise experience. 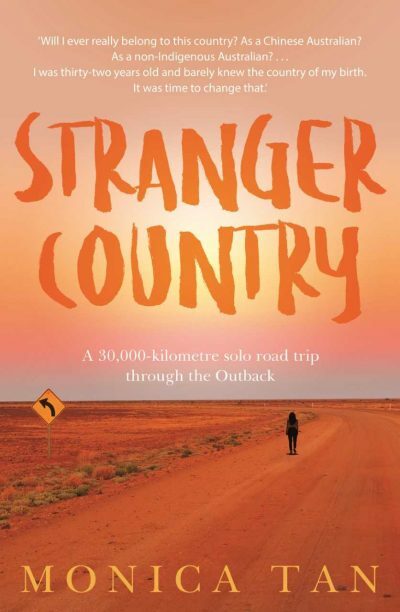 Stranger Country is perfect for anyone who, like Tan, lives in a major Australian city and wants to know what life is like in the red-dirt heart of the country.